Home » IYIM GET REFUSAL PROGRAM - LECTURES AND WORKSHOPS » Prenups Panel in Beit Shemesh draws a crowd! 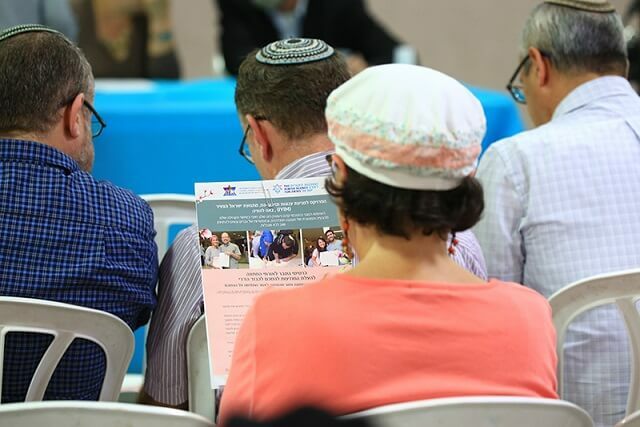 An avant-garde event on the topic of Halachic Prenuptial Agreements: Protecting Our Loved Ones from the Possibility of Get-Refusal was held on Tuesday, June 5th in Beit Shemesh. The hall at Ohel Yonah Menachem (OYM) synagogue was packed as the audience were inspired and informed about the importance of prenuptial agreements by three renowned speakers: HaRav Mayer Lichtenstein (Rabbi of OYM ), Dr. Avigail Rock (Toenet Rabbanit) and Dr. Rachel Levmore (Dir. IYIM Project for the Prevention of Agunot and Get-Refusal). At the end of the evening the crowd got to hear from a young woman, who along with her husband, signed a Halachic prenuptial agreement and act as proud ambassadors for their friends. 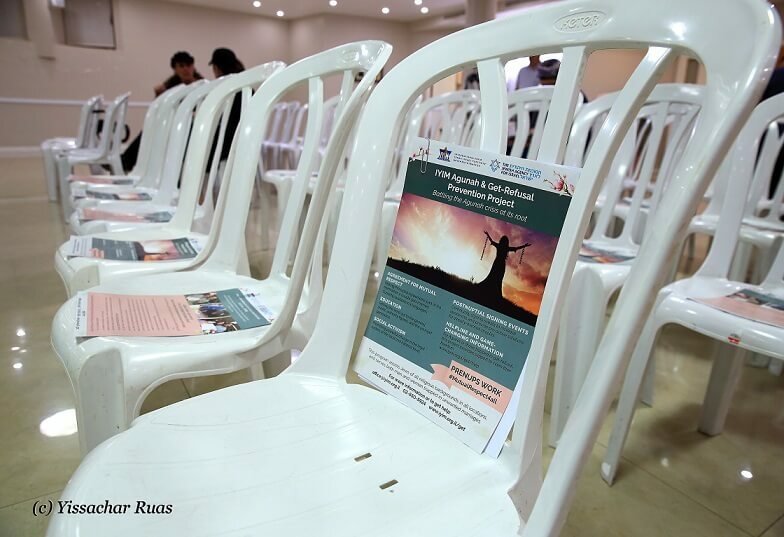 This event was sponsored by the International Young Israel Movement (IYIM), Ohel Yonah Menachem synagogue and 5 other synagogues that make part of the ‘Achdut HaKehillot’ – Givat Sharet community. The participants ranged from couples with children of marriageable age to young married couples who have signed a halachic prenuptial agreement. These questions are often asked:” Why would an engaged couple who are in love think, or want, to sign a prenuptial agreement dealing with divorce? Is this agreement really necessary, how can these lovely people become demons? Why is it important that Jewish society accept the prenuptial as a societal norm? Why is there no built-in safety valve in the Ketubah (marriage contract)? These were the many questions addressed by the three speakers during the evening. 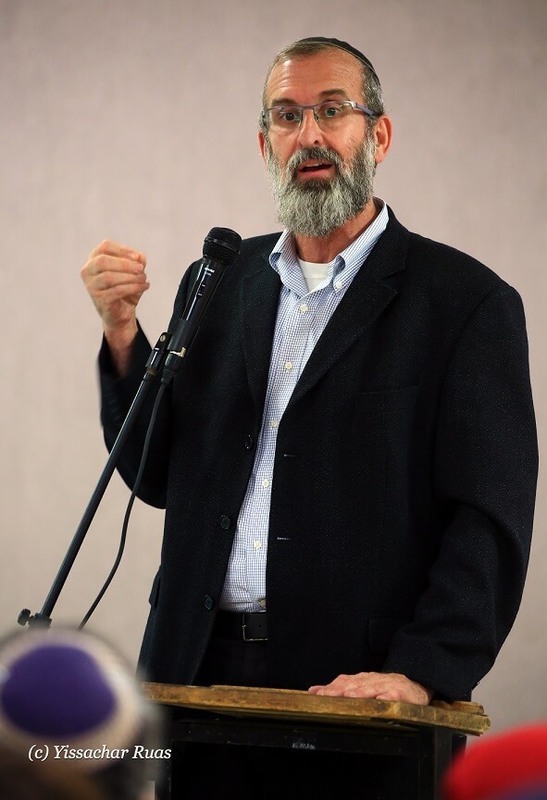 Rav Lichtenstein spoke about the importance of halachic prenuptial agreements from his experiences being the Rabbi of a community that has dealt with many engaged and married couples in both good and bad times. The Rav has always encouraged young couples that prenuptial agreements are similar to taking out and insurance policy, which one does for other aspects of life, car, house, etc- this agreement is no different. The next speaker, Dr. Avigail Rock, a well respected resident of Beit Shemesh, emphasized how important it is that the prenuptial agreement become a societal norm. She stressed that it should be signed by all engaged couples and not just those who have doubts about their potential life partner. It should be signed from a position of strength and not weakness. 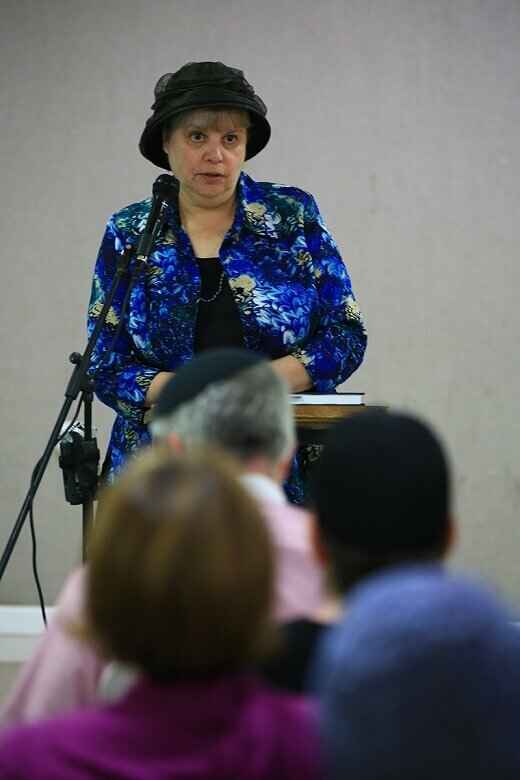 The final speaker of the evening was Dr. Rachel Levmore, Director of the Agunah and Get-Refusal program of IYIM, who spoke about the content of the “Agreement for Mutual Respect”, the halachic prenuptial agreement that she co-authored. She clarified that the agreement places equal burden on the male and the female should either side refuse to deliver or accept a Get (divorce document) within six months of request of one. The evening ended with a first hand testimony by Dorit Levine, a young happily married woman who signed a prenuptial agreement before her wedding. She explained the importance of signing the agreement with her husband before getting married and how her hope is to lead by example for her peers to make this prenuptial agreement the norm. At the conclusion, the floor was open for questions and answers.